My childhood Halloween memories include jack-o-lanterns, but I don’t remember where we got them. They must have come from the grocery store. It wasn’t until I married a man who was in love with Halloween that I discovered the pumpkin patches. Every year we headed for the country to find the best pumpkins. Around here, it was in Bixby and we stopped at the pumpkin farms to go into the patches and pick our own. Everyone had to have a pumpkin, with Daddy’s being the biggest, and we took them home to carve. Over the years, the pumpkin patches got a little more sophisticated and added animals and places to pose for photos and sold cider and gourds and corn stalks. Halloween was becoming a big deal everywhere! The pumpkins got bigger and bigger and then they came out with the tiny ones and the odd ones and it was an adventure. 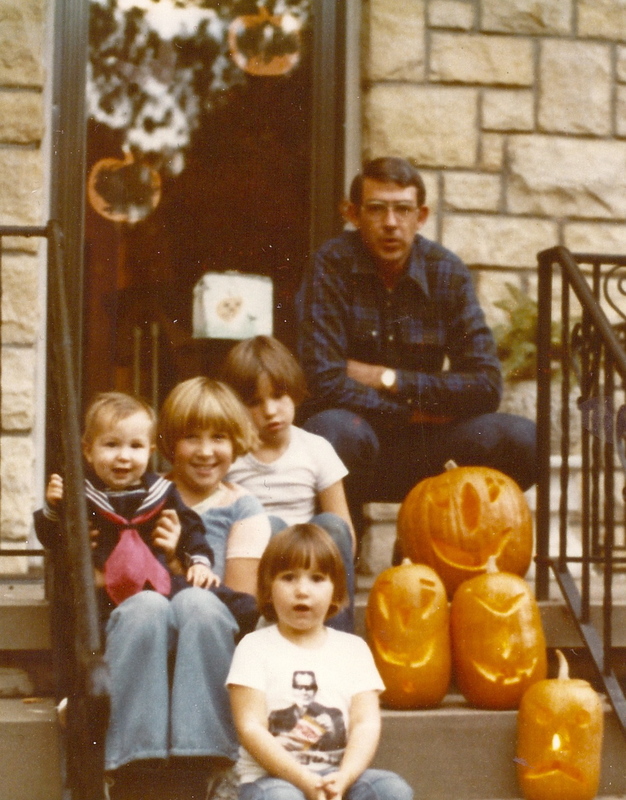 Even after our kids were grown and in college or married, we had to go get our pumpkins. 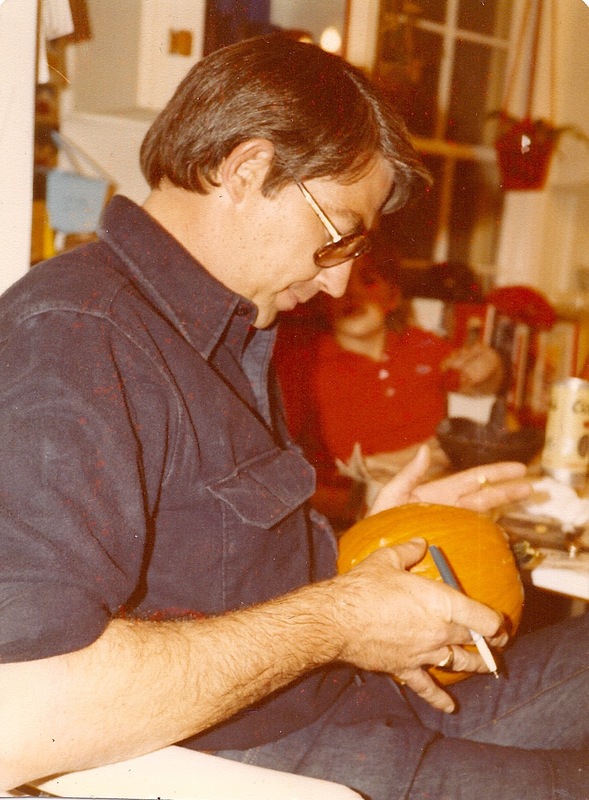 I miss watching him carve the faces – he would be amazed at the design industry built around pumpkin carving today.